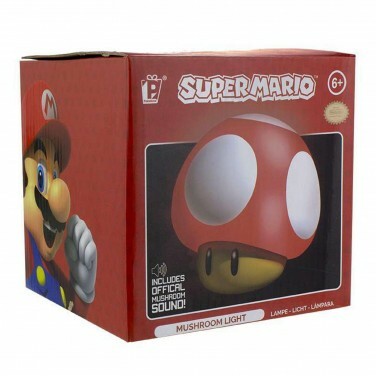 Cute as a button, the iconic "level up" mushroom from the Super Mario Bros games shines with a gentle glow to help to soothe young gamers at night. 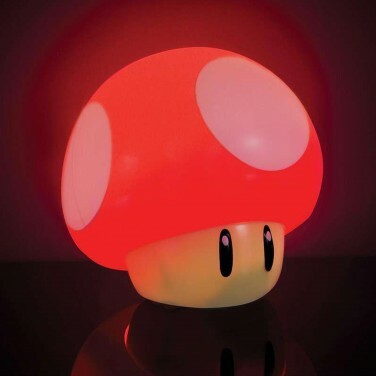 Just the right size for bedside tables, this sweet little mushroom has a push down to activate and switch off function and even makes official "level up" sounds! 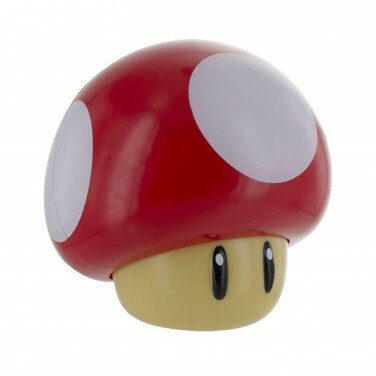 Battery operated, this cute character can be placed anywhere in your child's room to help to reassure at bedtime.